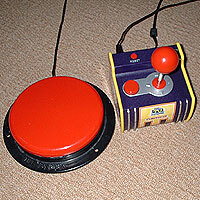 I can adapt a variety of video games machines and some battery operated toys and gadgets to make them more accessible. I tend to focus on adaptations that enable the use of disability standard plug-in switches. I can also offer free advice if you wish to try to do this yourself. Free quote to adapt your equipment. More complicated adaptations: £20 per hour, plus parts. Adapting equipment voids the manufacturer's guarantee, and the attempt may cause irreparable damage, leaving the device useless. I would not refund this, but equally, I would not charge for my lost labour. SAFETY: Always use adapted equipment under supervision, and disconnect any batteries when not in use. For more info and full terms, e-mail: info@oneswitch.org.uk or see the OneSwitch D.I.Y. guides. 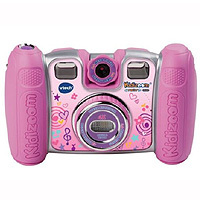 "Kiddi Zoom Twist Plus" digital camera adapted for switch use (July 2014). "Namco 5 in 1" TV game adapted for switches. Sockets for UP, DOWN, LEFT, RIGHT and FIRE (March 2005). 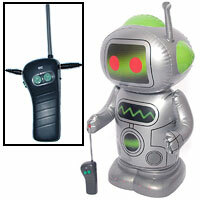 "Blo-Bot" radio control toy adapted for plug in switch use. One switch for SPIN, a Second switch for FORWARD (January 2005). 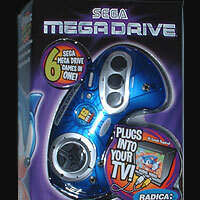 Radica Sega Megadrive. Switch sockets for LEFT, RIGHT and B (January 2005). 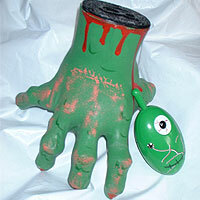 "Crawling Hand" radio control toy adapted for plug in switch use. One switch for CRAWL. Freaky! (January 2005). 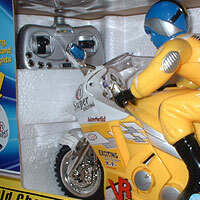 "Racing Motorbike" radio control toy by PMS adapted for plug in switch use. Four sockets for FORWARD, BACK, LEFT TURN, RIGHT TURN (January 2005). 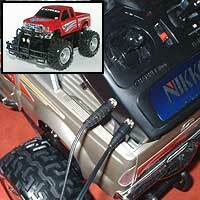 Nikko "Ford F350" radio control 4x4 truck partially adapted for plug in switch use. Forward and Back (couldn't interface to left and right) (January 2005). 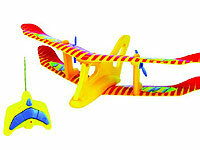 "Air Surfer" Radio controlled Plane, adapted for use with two switches. One switch to steer LEFT, with the other switch to steer RIGHT. (December 2004). 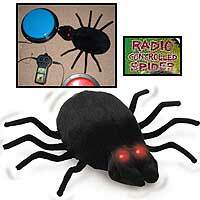 Joke Radio Controlled Spider, adapted for use with two switches. One switch to SPIN and one switch for FORWARD. (December 2004). 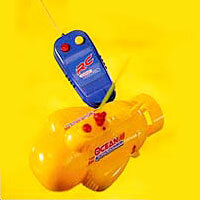 "Ocean Explorer" radio controlled yellow submarine, adapted for use with two switches. (August 2004). 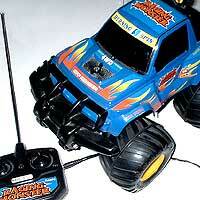 "Full function" radio control car adapted for two switches. One switch to SPIN, the second for FORWARD (June 2004). 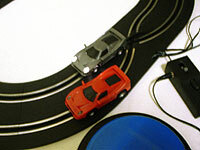 Chaserz 'Scalectrix' type magnetic racing game. Both hand sets were adapted for plug in switch use (May 2004). 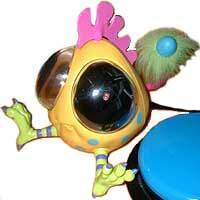 Chicken Tickle OOglie adapted for plug in switch use. Up to three switches used for different wacky effects (April 2004). 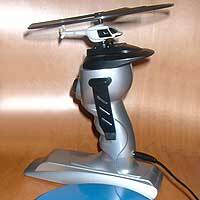 Helicopter toy adapted for plug in switch use. One switch required to run motor (April 2004). 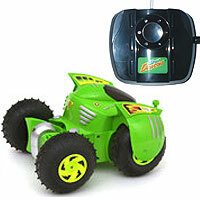 "Spin Dragon" radio control toy adapted for plug in switch use. Requires just one switch for alternate forward / reverse (April 2004). Main image of an Electronic Dice being adapted for disability switch use.